All month-long I have been rolling this around in my head and trying to figure out what I wanted to blog in regards to this subject. 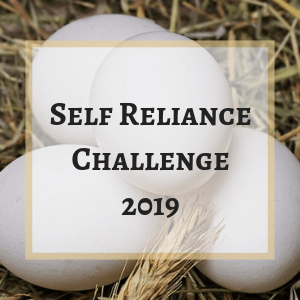 However in the end, I decided to put a personal spin on it.. as regular readers of the blog know for five-year running every single march I do an eat out of your pantry challenge here on the farm. I picked march for a solid reason, it the lean month.. it was the starving month back in the old days. It is when the larder is stretched thin, when the root veggies can and will be running out, when a warm snap can cause softening or sprouting, when the hens are just thinking about laying again, when your milking animals are dried off and heavy with young, when all the young butcher animals are done and you are waiting for new to be born, when its to dangerous to be on the ice for local fishing but not safe to be on the open water either, when the ground is frozen hard, nothing green is growing.. I can remember my grandfather shoveling snow off a certain patch of ground and us putting the big metal bucket over it, we were doing a rough job on forcing that rhubarb plant, the snow was removed, the dark metal bucket heated in the winter sun and as the ground thawed down, we would twist it into the ground about an inch and it was heat the soil and force that plant up and out for some fresh eating. I do it with my local nettle patch every spring.. and while now using cover crops to push new things in the spring is the norm in gardening, I remember being amazed to see gardener’s in Yellowknife have double layered baby greens growing rapidly for fresh eating, while the yard was still four feet deep in the snow.. Which brings me to the main part of my post.. have you ever read an old cookbook and think wow.. 6 or 12 eggs, a quart of milk or pound of butter in those recipes.. that is because that is what they had in the leanest part of the year.. They would have hens just starting to lay and they would have something coming back into milk be it cow, goat or sheep.. they would had grains and potato’s on the farm. 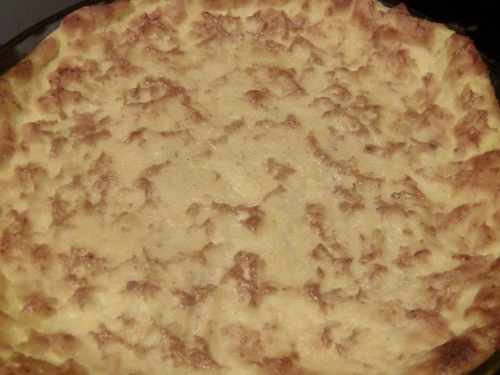 This pie is interesting in that its a form of a custard, its also one of those fun, make your own crust pies. Take all the above and beat it well , pour into a greased pie pan, bake in a oven for 45 min at 350. the middle will still be soft and wiggly but will firm up as it sits. Can be served warm but will not hold its shape if you do so. Can be eaten cold and is very good and if you want a real treat, a tiny bit of maple syrup can be put over top of it. But what if you don’t have eggs yet but you do have a animal coming into milk, the first milk coming in is Colostrum.. something that we don’t see much of now but back in the day, you used it all. The other thing that caught my eye was that it can be used to replace eggs in setting a dish, and that 8 oz’s is like two large eggs.. you know that when farm gal reads something like this, she has to see if its true or not.. So late this afternoon I whipped up a batch of Egg Pie.. 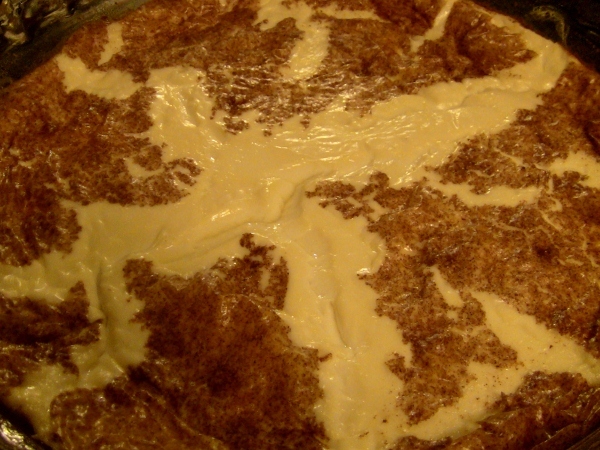 I used two cups of sheep colostrum milk, 2 cups of regular sheep milk, 2 tbsp of sugar, 1 heaping tbsp of flour, a pinch of salt, and a good sprinkle of pumpkin pie spice with some fresh grated in nutmeg, all whisked together and put in a slow over and baked for 40 min and O my, so pretty, can’t wait to taste it..
Well, they say that the truth in the tasting and in that regards there are few things to share, first, yes it will indeed set a dish like eggs will and do it beautifully! However it does not taste like a egg pie on its own, its like a cheese-egg pie.. very good indeed. Not something that I expect many people in today’s world will get a chance to try but if you get the chance, do take it will be worth it. This entry was posted in Canada 150 Birthday Events and tagged Beestling pie recipe, Canada 150 Food Blog Challange, egg pie recipe. Bookmark the permalink. J > I think I have 150yr-old and pioneer tastes!